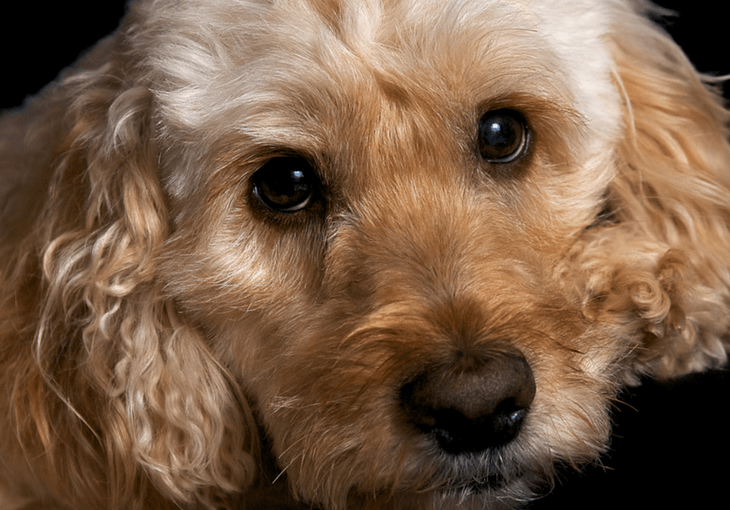 →Cockapoo Dog Breed Information: The Fun Loving Hybrid Designer Dog! Cockapoos are a hybrid designer dog: a mix between a Poodle and a Cocker Spaniel. They are an affectionate, fun loving, playful dog and are perfect for families with children! Cockapoos inherit the best traits from both breeds, resulting in a beautiful dog with a silky or curly long hair coat and silky drop down ears. They also have a great temperament and are easy to train. These dogs will be sure to provide you with hours of fun and love as they are very playful, high energy, affectionate dogs. Let's dive into the Cockapoo dog breed information; everything you need to know about this lovable pooch! The Cockapoo was developed through a happy accidental breeding of a Cocker Spaniel and a Poodle dating back to the 1960s. These happy dogs are actually one of the oldest hybrid dogs, becoming popular in the 1960s (rather than recently like the hybrid breed Labradoodles who have only been around since the late 90s). It was one of the first designer dogs to ever exist. The popularity of the breed comes from the success of the mix, as Cockapoos have the friendliness of a Poodle and the intelligence of a Cocker Spaniel. The Cockapoo Club of America formed in 1998. The American Cockapoo Club was formed in 2004. The North American Cockapoo Registry was formed in 1999. As a hybrid dog Cockapoos can vary in colour and coat texture. This depends on the colour and size of their parents and if they inherit more features from the Cocker Spaniel or the Poodle. No matter which wins out or if is a perfect mix, they make beautiful dogs either way. The smallest of the categories is the Teacup Toy (less than 6 pounds and less than 10 inches in height). The Toy Cockapoo is next (just under 12 pounds and up to 10 inches in height). The largest is the Standard or Maxi Cockapoo (at least 19 pounds and at least 15 inches in height). These names are gleaned from the names of different Poodles, who are named for their different sizes. They are the perfect size to cuddle and you can still pick them up fully-grown if you need to. Cockapoos inherit beautiful curly fur from the Poodle and gorgeous silky ears from the Cocker Spaniel. You can be sure strangers will stop you on the street to get a proper look at this walking teddy bear. Being a hybrid dog, Cockapoos are lucky to share the best personality traits Cocker Spaniels and Poodles possess. They are very intelligent, playful, sweet, loving and affectionate. Cockapoos love to be with people and are very friendly to strangers. They are very active dogs who LOVE exercise. They will love nothing more than running around the yard, chasing a ball. Your puppy will be super energetic, a bundle of energy and you will have hours of fun chasing them around and bringing them for walks. You will need to bring them for a walk every day or play with them in the back garden to avoid boredom. Cockapoos love to be around people and are affectionate with their families as well as strangers. They do well with other dogs and animals as well, they are very playful. However, they are happiest surrounded by their families. They are also great with children and make great family pets. This also means they love attention and may suffer from separation anxiety if they are left alone for long periods of time. This needs to be addressed because separation anxiety can lead to destructive behavior or excessive barking. Although happily Cockapoos are not known to be excessive barkers and this can be learnt when they are young. One of the greatest advantages of Cockapoos is that they are known for being highly intelligent dogs. Therefore they are very easy to train. Many people have reported that by six months Cockapoo puppies can be taught to sit, stay, roll over, heel, lie down and give the paw, among other tricks. Their training is also made easier because these dogs are very eager to please. This is actually one of the highlights of the Cockapoo breed. They are hypoallergenic, non-shed dogs! Finally a dog who won’t cover your sofa and backseat of your car in a fine layer of hair that keeps coming back no matter how many times you clean it. This makes them the perfect dog for families where someone might have allergies. Despite their cuteness they do come with their own grooming needs. Clean their ears regularly to ensure your poor dog doesn’t get ear infections because of their long down ears. As well as bringing them to the groomers you might also need to invest in a pair of little dog scissors. Their hair around their eyes can become overgrown and this can lead to eye irritation and tear stains. Proceed with caution when grooming around your dog’s eyes. When you first bring your Cockapoo puppy home continue feeding it what it had been getting at the dog breeders or pet store. If you want to start it on a new type of food do so gradually in order to not upset their stomach. A fully-grown Cockapoo needs between 1 to 1 ½ cups of quality dry food per day depending on their activity level. The amount of food you feed them will depend on their size so measure it accordingly. Feed them half of this in the morning and give them the other half the evening. Be careful not to overfeed them as obese dogs suffer health problems and lead shorter lives. Cockapoos love their food and can quickly become overweight. Make sure to combine plenty of exercise with high quality dog food in order to keep them at a healthy weight. Make sure the food you give them meets all of their nutritional requirements. Cockapoos are generally healthy! They are more prone to ear infections because of their coated drop ears. You should clean their ears regularly to prevent a build-up of dirt and earwax. You must brush Cockapoos on a regular basis to prevent their coat from tangling and matting, especially if their coats are on the long side and they inherit the Poodle’s curly fur. Cockapoos may need to be professionally groomed, trimmed or clipped several times a year in order to maintain a tidy coat. Just because you pay an extraordinary amount of money for your dog doesn’t mean that he will turn out any better than the previous dog you looked at for $100 or less. Do some research and see what the going rate is for your breed of puppy in your area and don’t deter too much from your own original budget. When buying a dog from a breeder it is always important to do your research. Most people are usually worried that they won’t get the best deal with a dog breeder or that they won’t be able to tell if the dog breeder is actually running a puppy farm. F1, this term means the puppy is the result of the breeding of two purebred dogs. F2 puppies are the result of two F1 hybrids mating. You can find a detailed explanation of all of the terms here. Knowing these terms will help you to understand exactly what your puppy’s pedigree is. 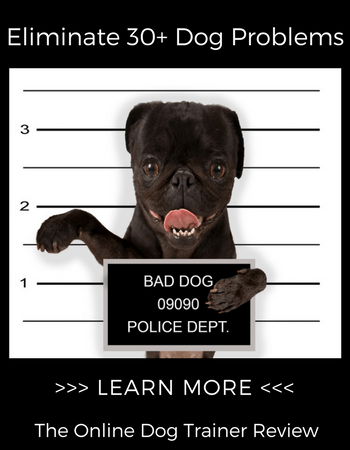 Know what shots your puppy is supposed to have at the age you are getting him. Don’t let yourself get conned into paying a high amount for your puppy with the assurance you are also paying for the shots they have given him, just to get to a vet and find out he hasn’t gotten them at all. Always ask for the documentation of shots being given to your puppy. Have a list of questions to ask the puppy breeder before you meet them and be prepared to leave it if you are suspicious. You want the best for dogs everywhere and you don’t want to give any profit to a puppy farm or someone who you feel might not have dogs’ best interest at heart. How long have they been breeding Cockapoos? How did they get started breeding dogs? Has the puppy had all its necessary shots and can you have this proven in documentation? Can I see the puppy’s mother? She should be with the litter and this is a good way for you to check out the puppies’ previous living situation, does the mother look happy, have they been treated well? Are the puppies already micro-chipped? What do they look for in an owner? A good puppy breeder will care that their puppies are all going to good homes. A good breeder WILL ask you as many questions as you ask them. You should always be able to view the mother but when getting a hybrid it is worth asking if you can see the father too, to make sure you are definitely getting the right mix and not just the offspring of a Poodle and some unknown dog. A good puppy breeder will willingly answer all of your questions and ask you questions in turn. If the breeder doesn’t seem to care at all about where their puppy is going to live then this can be a red flag. You want to deal with a breeder that takes good care of the puppies and mother and therefore wants to ensure they go to a good forever home. Cockapoos are an adventurous, affectionate breed of dog and should make a wonderful addition to any family! Let us know in the comments below, are we missing any Cockapoo dog breed information that you would like us to publish?